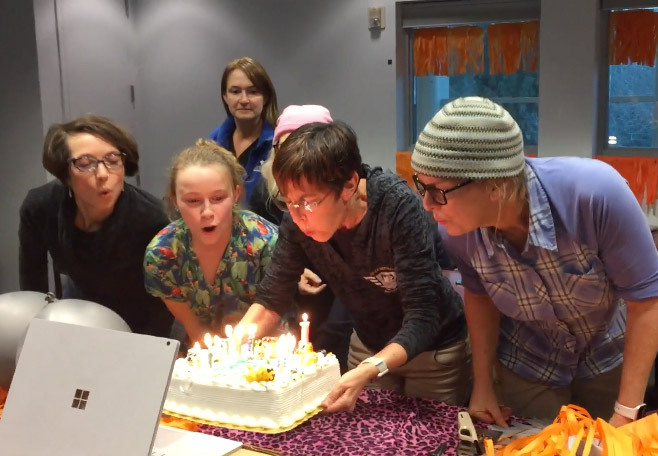 “If I could have made a wish 18 years ago, I could not even have imagined wishing for anything as incredible as what shelter medicine has grown up into,” said Dr. Kate Hurley as she lit the candles on a festively decorated birthday cake in a conference room at UC Davis on Monday. 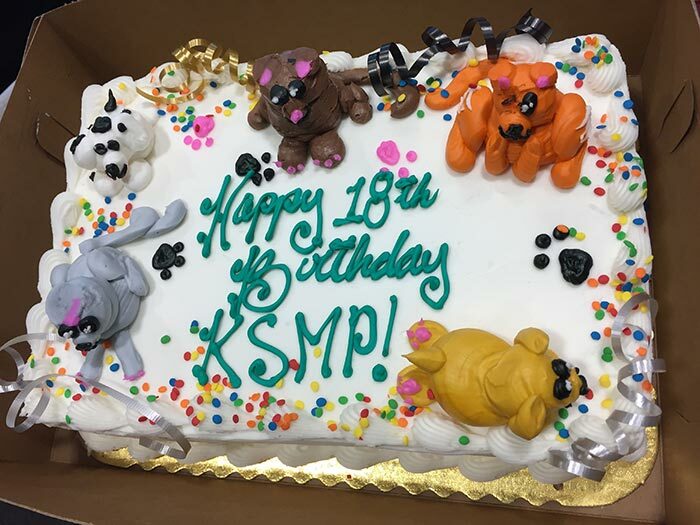 KSMP team members blow out the candles. A laptop streams video to celebrants all across the U.S.
On the phone from Wisconsin, Dr. Newbury expressed her pride in the program and noted with astonishment that nobody in the room could even say anymore how many shelter medicine programs there are at this point.